How can consumers spot nutrient deficiencies in produce? | Soils Matter, Get the Scoop! How can consumers spot nutrient deficiencies in produce? 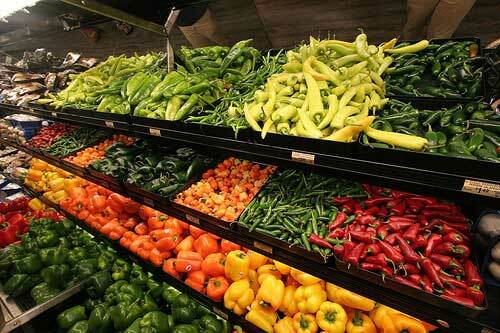 Question: How can the average consumer spot nutrient deficiencies in everyday produce? Is there an app for that? A book for that? Scientific papers? Ideal search terms? Answer: There are several types of visual clues about nutrient deficiencies in plants. We’ll break this answer down into two parts. Home gardeners may be able to determine if their produce has a nutrient deficiency. However, just like when you have a fever that could be caused by many viruses or bacteria, a yellow leaf or curling edges could also have multiple causes. And, the species of plant will also be a variable. Yellowed leaves could be an iron, nitrogen, or manganese deficiency. If you see red coloration, that indicates the possibility of anthocyanins, which can be caused by a phosphorus deficiency. Calcium deficiency causes blossom end rot in tomato plants. Cupping or stunting of leaves can be a potassium deficiency. So, the signs of disease and the characteristics vary from one species to the other. Iron and nitrogen deficiencies are more common, causing the yellowing of leaves. However, older leaves will naturally yellow, and are not caused by a nutrient deficiency. I recommend that you contact your County Extension Agent, or your local agricultural college. They can recommend the best soil testing kit for your location. Kits help you test for soil pH and micro- and macro-elements in the soil. The results of soil testing can tell you which specific items you should add to your soil for the best gardening results. We do not generally recommend a broad-based fertilizer, since your soil may not need all of the nutrients they provide, and you can overdose the plants with some minerals. 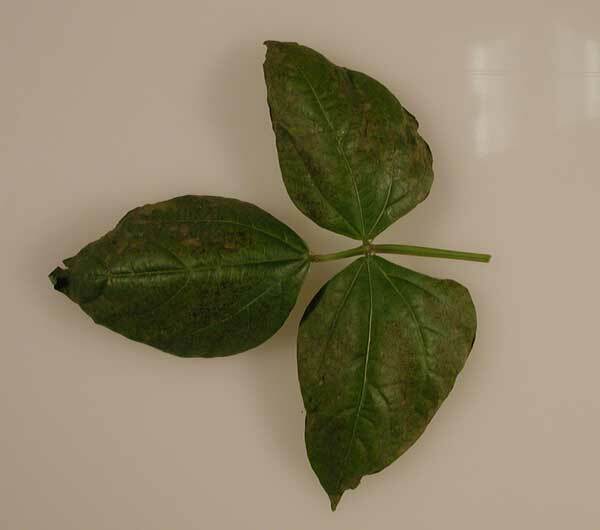 The cupped leaves of a potassium-deficient bean plant. Photo courtesy of Michael Grusak. For vegetables that are already on the shelves in the market, it’s harder to tell about the nutritional quality of the produce. We do know that the fresher the vegetable, the more nutritious they are. Vegetables are composed of living tissues, even after harvest, so the enzymes and chemicals in them are still working. The mineral content will still be fine, but for vitamins and health-beneficial compounds, shelf life affects them. And the produce could start to look aged, but not have any nutrient deficiencies. If you are buying leafy vegetables, it’s hard to tell if discoloration is due to aging, shipping damage, or a nutrient deficiency. A good choice is to buy local and buy fresh. I am unaware of apps that help determine nutrient deficiencies in plants—and again, that would be hard since the visual clues are not conclusive. For scientific primary papers regarding visual symptoms of mineral deficiencies, I recommend publications by the American Phytopathological Society. ← What does this winter’s extreme cold mean for the growing season?